A Blogger’s Table was organized by the restaurant to celebrate the new menu. We started with Soya Ke Tootak – a vegetarian delicacy which had spicy soya bean fillings covered by a hard and crisp semolina crust. I had tried this at the Rivaayat festival organized by the restaurant couple of months ago, showcasing traditional Indian cuisines, and have come to like the soya in the masala. 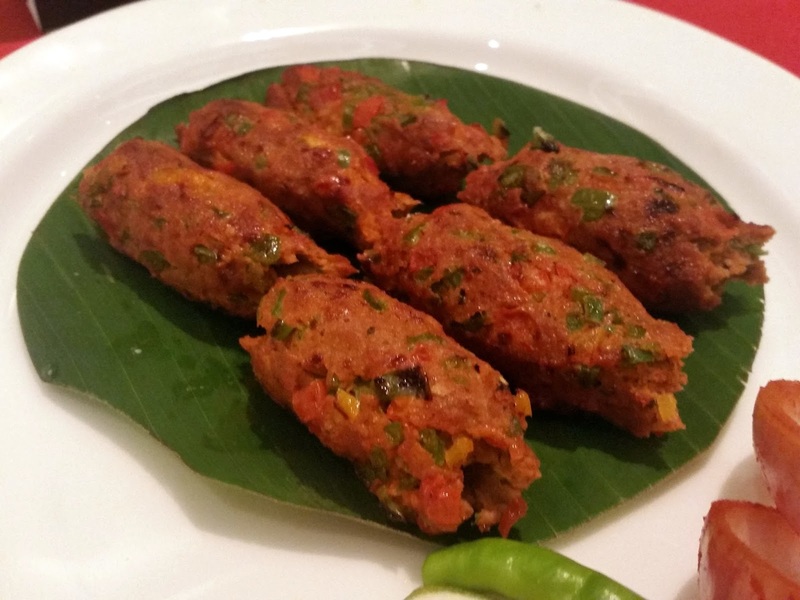 Kashmiri Seekh Gilafi was lamb seekh kabab prepared in Kashmiri style – it had generous doses of onion, tomatoes, dried ginger and saffron in the kabab, apart from minced meat. 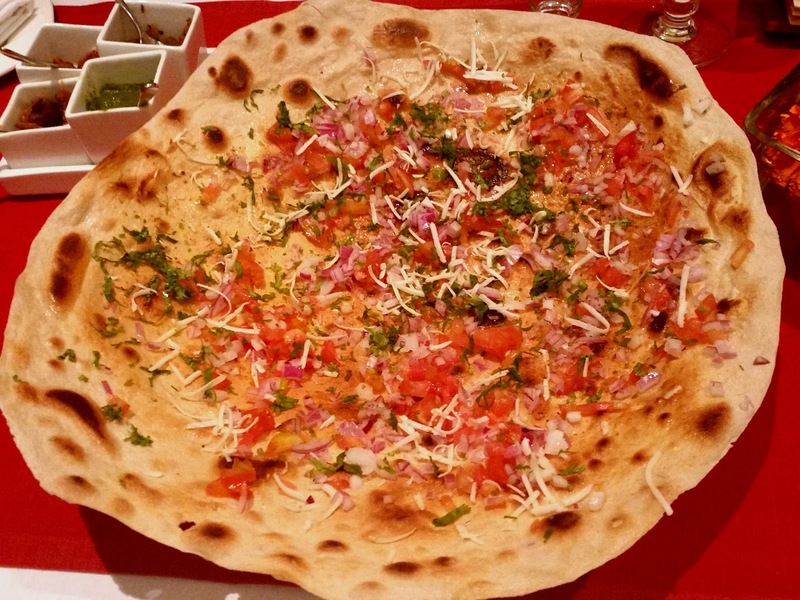 A gilafi kabab normally has an outer and inner layer, which was not very apparent here. However the kabab was exceptionally soft and succulent, and the combination with vegetables and spices tickled my taste buds. 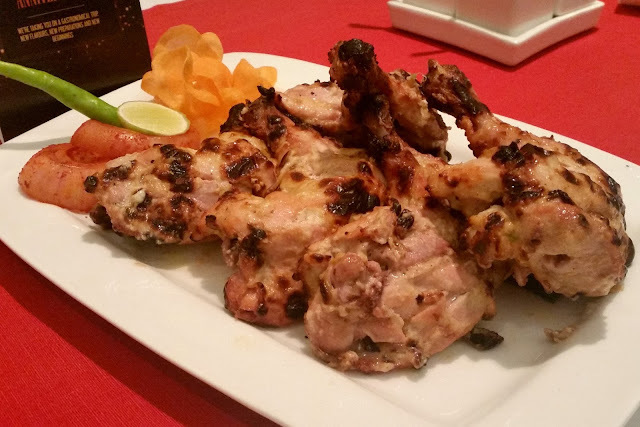 The pick among the starters was the Murgh Kalmi Kabab – chicken legs grilled on charcoal in a garlic and pepper based marinade. The kabab was cooked to perfection, with the meat coming off the bones with ease. The light spices had done wonders on the chicken and there was no way I could deny myself a second helping. A great accompaniment for the starters was the famed Kadak Rumali of Kanak – a huge Rumati Roti made crispy and covered with generous helping of tomato, cheese, coriander and onions – somewhat like an upgraded masala papad. 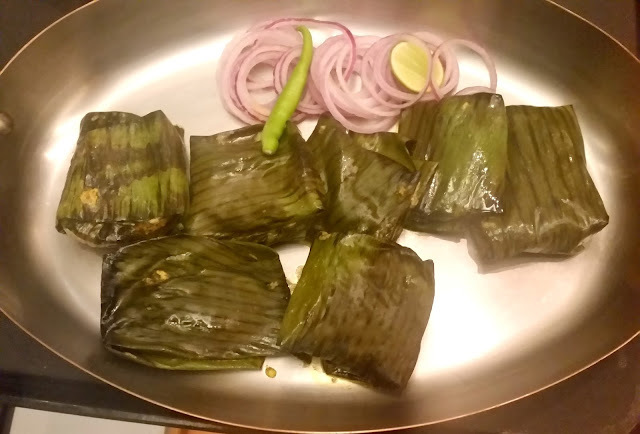 Rumali can normally never be imagined to be kadak, but this dish changed my perceptions. 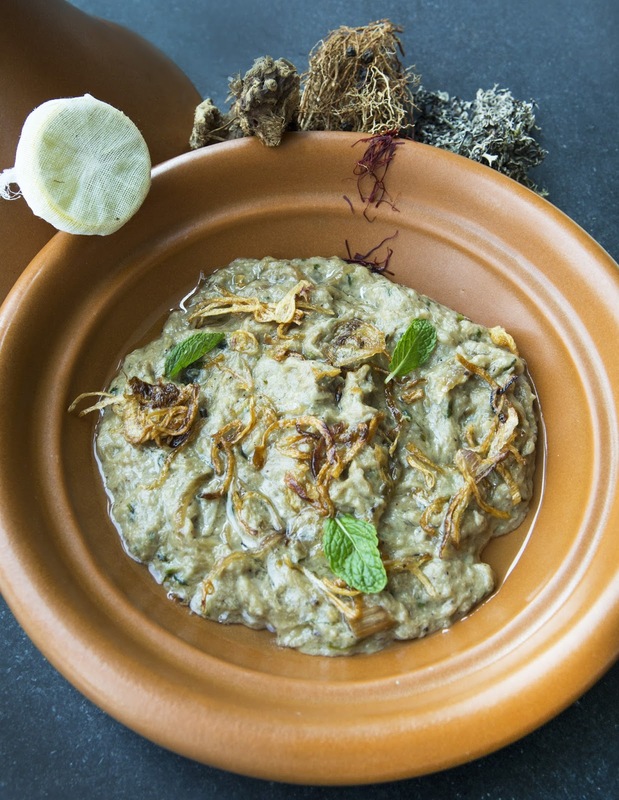 Next was Haleem time – the haleem was served with a little fried onion in it, and additional fried onion and mint leaves separately. The meat was soft, and it had blended well with the wheat, and the ghee was aromatic. Overall, a perfect combination of the ingredients which can compete with the best offerings of Haleemabad. 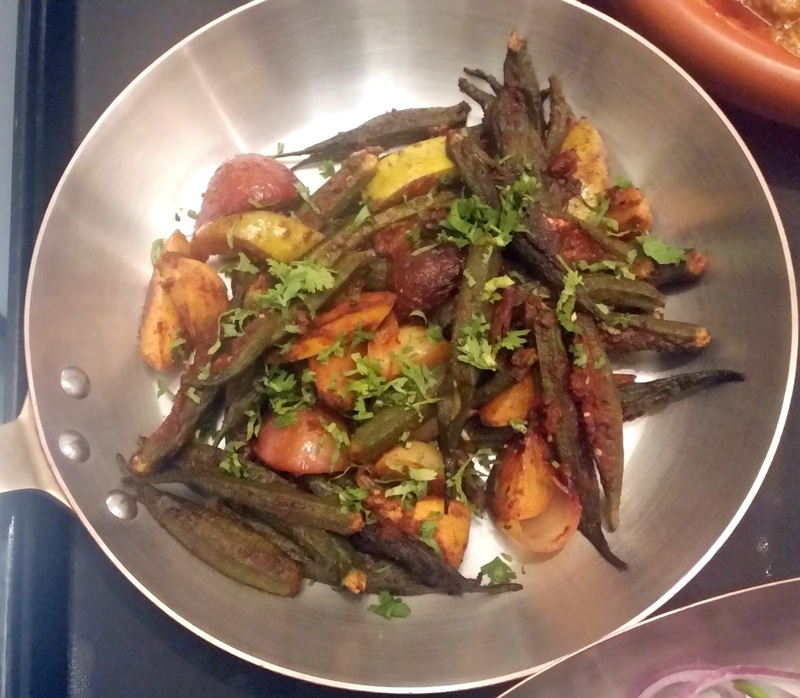 The main courses again had an old favourite of mine – Bharwan Amchur Bhindi and Peyaz from Rivayaat. A very simple recipe it goes very well with any type of Indian bread. I thought the stuffed okras today were a tad high on amchur today – but the overall taste was still very decent. 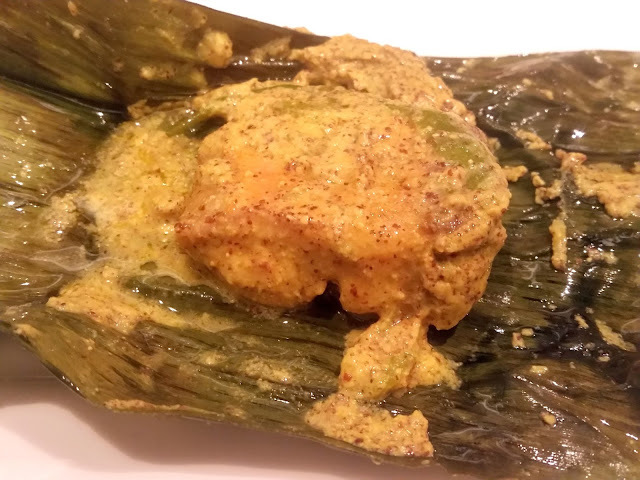 Next was Paturi Machhi or Machher Paturi as we call it in Bengal - boneless fish in a mustard based marinade wrapped in a banana leaf and steamed. I had already heard good things about this dish, and it truly lived up to the expectations - right from when I unfolded the leaf and the fragrant aroma of mustard hit me to the point when I devoured it with steamed rice. Murgh Handi Korma was another star of the menu on offer. The chicken was soft and succulent but the highlight was the masaladar gravy stood out when we dunked the soft naans in it. My friends judged this the best dish among the lot, though the Bengali in me will still opt for the paturi. 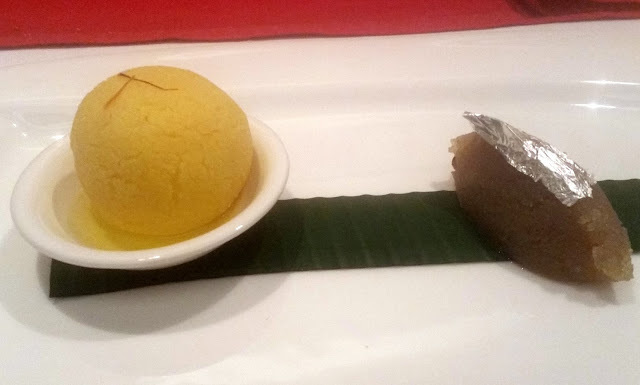 The dessert platter had a Rajbhog and Akhrot and Badam Halwa. The latter was delicious and not very heavy, given it had ingredients like walnuts, almonds and ghee. For a person like me who loves mild sweets this was a perfect dessert to have. Along with the food, Kanak has their signature Indian cocktails on the menu some of which are very unique and caught my fancy. 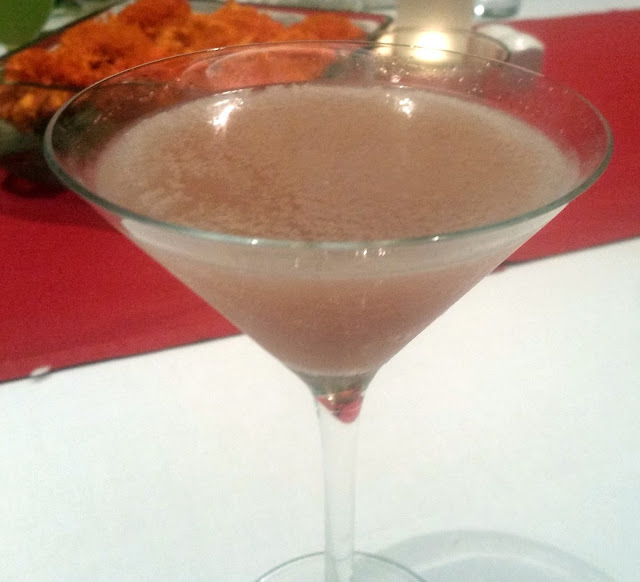 I liked the Hyderabadi Paan - a paan flavoured drink with vodka and cranberry juice and Patiala Peg - a whisky preparation with cinnamon and cardamom. Both these cocktails can serve as ideal pairings for the spicy Indian cuisine. The items tried out were only few of the highlights of the unveiled new menu, which has many other hidden gems. 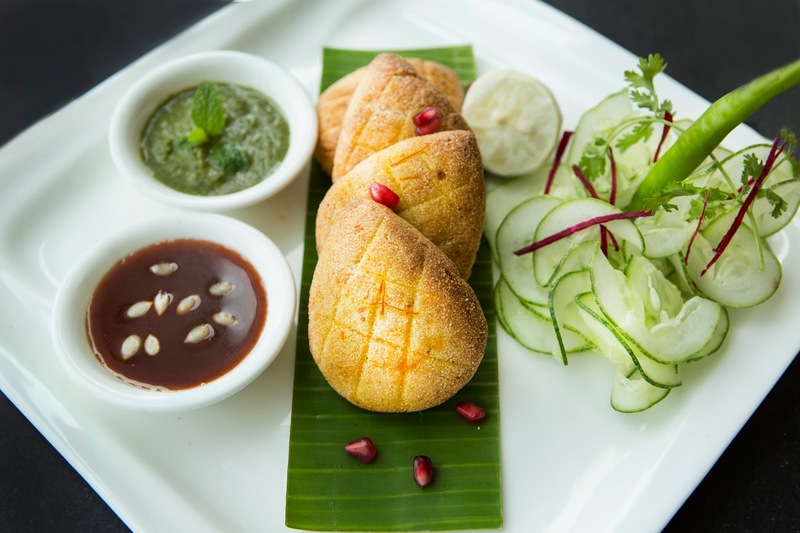 The dishes offered provides a culinary journey across the country, ranging from Hyderabadi cuisine to recipes of Coastal India as well as those from the North West Frontier. 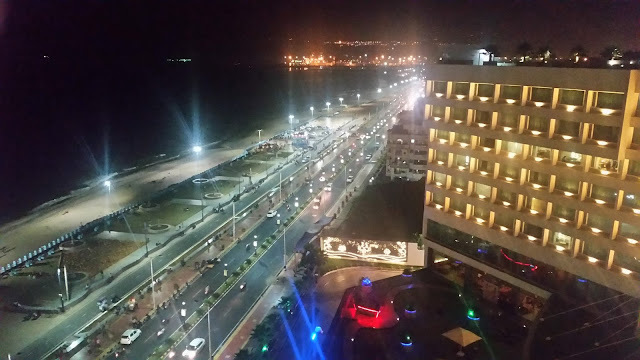 I could see other old favourites like Pathhar Ka Gosht, and Rivaayat hits like Purani Dilli Ki Nahari, which will definitely make me go back there soon.